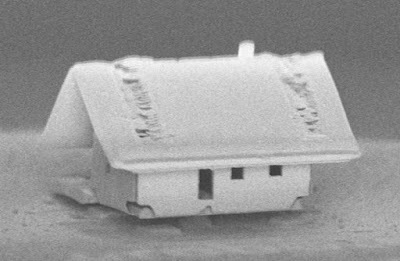 Nanorobotics researchers at the Femto-ST Institute in Besançon, France have built a house that measures just 20 micrometers long, making it the smallest house in the world. 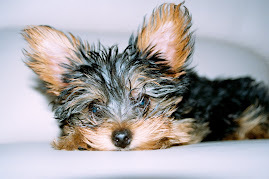 The itsy-bitsy dwelling would “not even able to accommodate a mite,” the team writes in a paper published in the Journal of Vacuum Science & Technology A. The house was made from a layer of silica set on the tip of an optical fiber that measures less than the width of a human hair, according to Devin Coldewey of Tech Crunch. Researchers used a device called the μRobotex platform, which combines three existing technologies: a dual scanning electron microscope/focused ion beam, a gas injection system and a tiny maneuverable robot. The little house was built inside of the scanning electron microscope’s vacuum chamber, and the assembly process was somewhat similar to the art of origami.